Shameless self promotion can’t be avoided when authors have books to sell. While you’ve still got time to receive an Amazon order — or for that matter, time to order through your local bookstore and give them a piece of the pie, here are a few for your consideration. Christmas Day horse races 1872, Middle Fork Valley. Bud Gilliland waits, eager for another chance at Newton Jones. Only this time, after two years of sparring, Newton gallops up in a cloud of dust, aims his Spencer rifle, and sends Bud to a well-earned grave. The death of Bud surely grieved his father. But before the curtains closed on these descendants of J. C. and Rebecca Gilliland in 1890, two other sons and a grandson would die a violent death while yet another grandson serves hard time for murder. What was it about the Gillilands? This recounting of the family tracks their ancestry, their pioneer years on untamed land, and the hard work that made them one of the wealthiest families in Washington County, Arkansas. A fascinating tale of brash ego, brave gallantry, and bad luck. 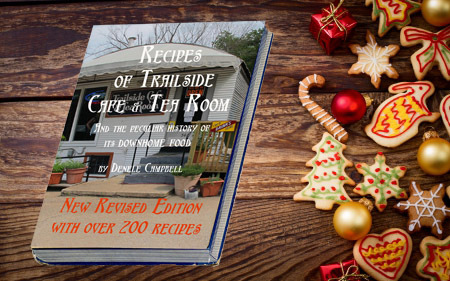 Serving everything from pita to peach cobbler, Trailside Café and Tea Room became a favorite destination for the few years of its existence. Plate lunches of Pot Roast or Ribs ‘n’ Kraut became overnight hits. Now with a new section on Sandwiches, and a greatly expanded last chapter including many more family recipes sure to be a hit in anyone’s kitchen, Recipes of Trailside Café and Tea Room offers the ‘how-to’ for delicious soups like Split Pea or Potato Leek, hearty salads including Wilted Lettuce, and scrumptious desserts like Lime Pie and the famous Brown Butter Cookies. Over 200 recipes for easy, down home food. its western border—plenty of blood spilled within its communities and homesteads. 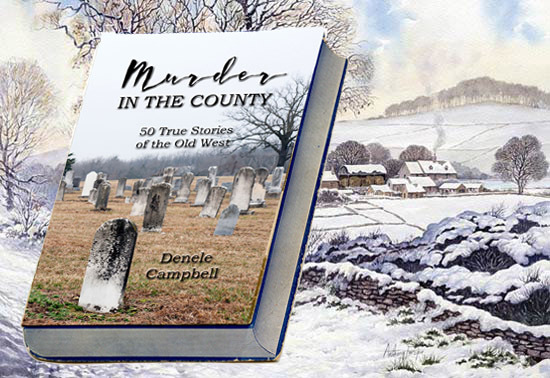 The fifty chapters of Murder in the County each focus on one violent incident. Through family histories, legal records, and newspaper accounts, the long-dead actors tell their shocking stories of rage, grief, retaliation, and despair. A thorough compendium of the county’s 19th century years. 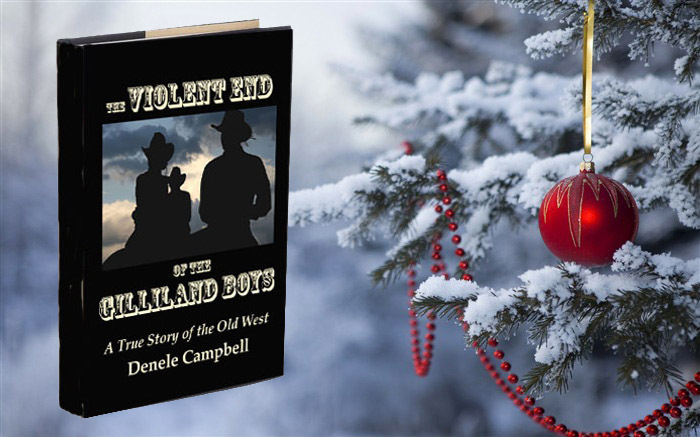 This entry was posted in American Culture, American history, Biographies, Food, Local History, Old West and tagged books for Christmas, Christmas gift, cookbook, fun gifts, indie author, murder stories, Old West, recipes on December 3, 2017 by Denele Campbell.